Hot off the heels of recommending one enthralling documentary, I stumble into the gripping arms of another. This one isn’t a new release, it’s from 2008, but I just couldn’t let it go without a recommendation. 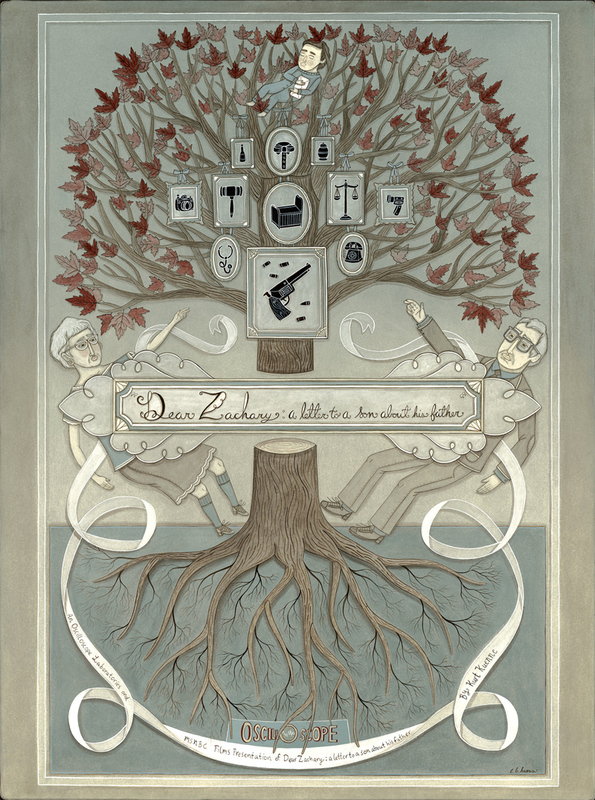 Dear Zachary: A Letter to a Son About His Father, I can truthfully say, is one of the best documentaries I’ve ever seen. It doesn’t claim the top spot (still retained by My Date With Drew from 2004), but inched its way pretty damn close as I was watching it. In fact, much like My Date with Drew, there are precious few details about the “plot” that I can reveal for you. You simply have to watch the movie from start to finish with no prior knowledge and let the shocking events unfold before you in the same way it did to those involved. The investigation into what actually happened to Andrew, and who is responsible for it, continues while the documentary is being made. Therefore, the purpose and direction of the documentary remains fluid as the narrative is being laid out for you. Did that make sense? There’s a whole other half of this film (the second half), that I simply cannot tell you about, and that makes my job very hard. Please just trust me and sit through to the end. Part of the film is structured like a CSI episode, except far more interesting because its real life, and the rest is a mixed assortment of reminiscence and musings on life, love, death, good, and evil. If you’re someone who’s going through a tough time in life and you’re (correctly or not) feeling sorry for yourself, then this documentary is one to watch. Very little in life can compare to the tragedy that continually escalates in this movie. At the same time, however, it will enrage you, sadden you, and then ultimately cheer you up to know that people can go through such heartbreak and come out the other side just as strong. One of the more amazing things about it is the way it’s edited; fast and choppy, with a gripping pace and heart-pounding music to keep you hooked. In fact, it’s edited unlike any other documentary I’ve ever seen, and I dare predict that you will think the same. Or, indeed, if you’re the kind of person who likes to actually pay for the films you watch (Or you’ve seen the film and want to contribute financially to it by purchasing a copy), then here is the Amazon link where you can order it. The reason I’m including these links is not because i’m out-and-out supporting piracy, but because Dear Zachary is a very hard film to find but a very important one to watch. If you can find the time, please do so. It’s only an hour and a half long, and don’t worry…it will be worth it.